When Michael Chour lifted Chock Dee out of the cage, the dog was trembling with fear. Moments before, Chock Dee had been stuffed inside a tiny metal cage with seven other dogs. Ther person who put them in there was the owner of a dog meat restaurant in Cambodia, and he was planning to slaughter the dogs and make them into soup. 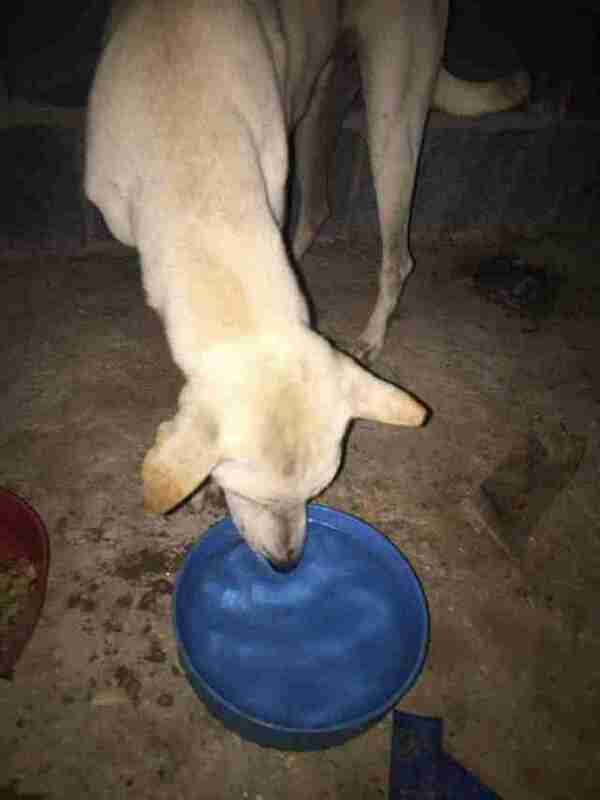 Last Monday, Chour had stopped at this dog meat restaurant to try and rescue some of the dogs there — someone had alerted Chour that the owner had a female dog with puppies, and Chour had actually gone to try and save them. But when Chour saw Chock Dee, his heart broke. There was blood near the cage, where the restaurant owner had already killed other dogs, presumably right in front of them. This would have been Chock Dee’s fate as well. In Cambodia, it’s legal to slaughter dogs and sell their meat. While it’s difficult to gauge how many dogs are killed in Cambodia each year, some restaurant owners claim to go through 40 to 80 dogs per day, selling dog meat meals that cost about $2 USD per dish. Thankfully, this restaurant owner agreed to give Chock Dee to Chour. 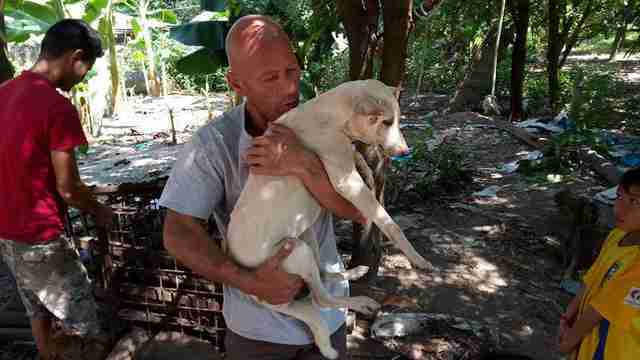 “The most emotional part of this rescue, as is the case with all slaughterhouse rescues, is the moment we remove a dog from a cage, and the feeling of having given the dog a second chance to live,” Chour said. The owner wouldn’t surrender the other dogs, so Chour had to do a very difficult thing — leave the others behind. Chock Dee is now in foster care with other rescued dogs, and Chour says that he’s already adjusting well to his new life. 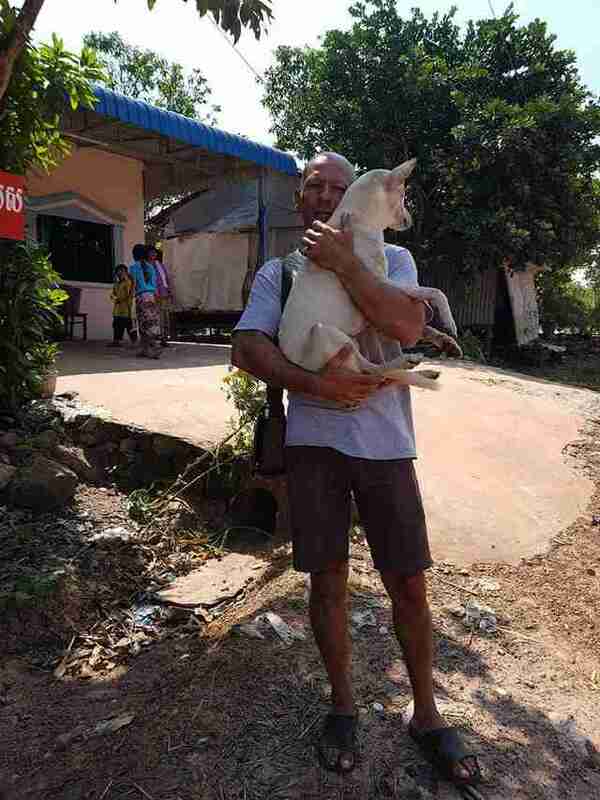 To help Chour rescue more dogs in Cambodia and Thailand, and to help Chour build a permanent shelter for his rescued dogs, you can make a donation. You can also follow Chour’s work on his Facebook page, The Sound of Animals. To help shut down the dog meat trade in neighboring Indonesia, you can also join Humane Society International’s efforts and sign this petition.